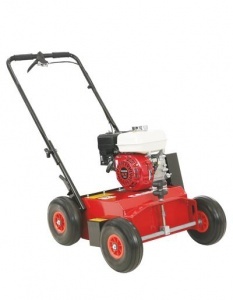 Highly effectice scarifying from this robust Stiga machine. 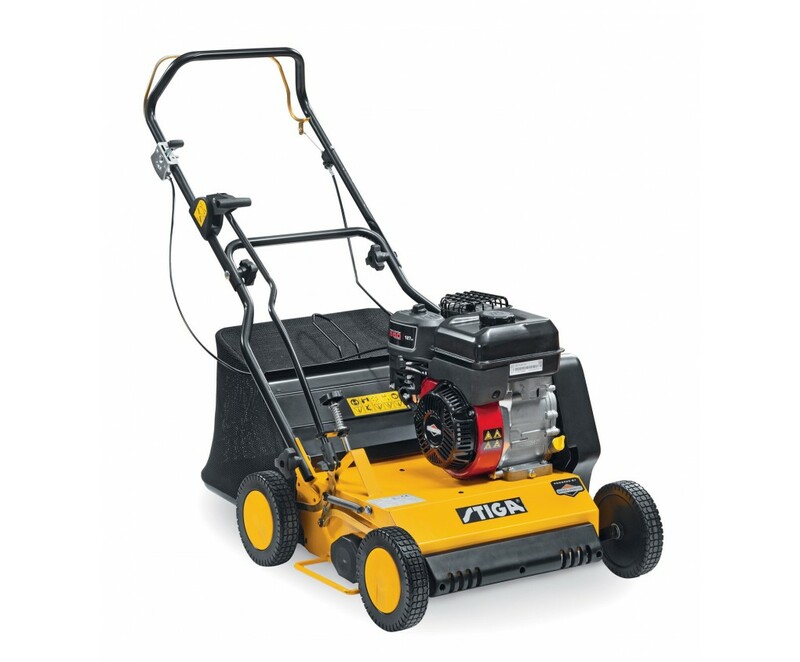 With its thirty-two floating blades and a powerful Briggs & Stratton 550 Series engine, the Stiga SVP 40 B makes lawncare effortless. 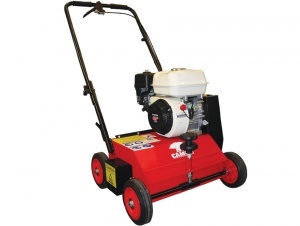 A combination of this machine's 32 blades and a working width of 40 cm enables you to scarify your entire lawn more quickly. The Briggs & Stratton 550 127cc engine gives you excellent power, while you are also able to customise the working height using a centralised system of height adjustment to set the machine from zero to 15 mm. The control handles on the SVP 40 B utilise a practical lever and an easy start box, so you can enjoy more control over your operations. Thanks to the Briggs & Stratton easy start engine, getting up and running is simpler and more reliable. This model is supplied with a 50 litre collector bag, which lets you work for longer without stopping to empty it. When you scarify your lawn, the machine is removing layers of thatch, moss and dead grass, as well as breaking up compacted soil and allowing water, air and nutrients to get to the grass roots. This helps them get the sustenance they need to grow healthily, for a beautiful, carpet-like finish. The Combi Care 38 P is a 3-in-1 lawn rake, scarifier and collector, able to provide top quality, straightforward lawn maintenance. 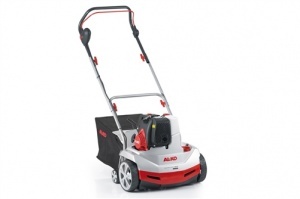 With a 37 cm working width and a 1.3 kW petrol engine.